It’s common knowledge that Hollywood isn’t a fan of Rotten Tomatoes. While the review aggregate site has been around for almost two decades, it’s become increasingly influential over the last few years, leading several prominent actors, directors, and producers to speak out against it. The latest being Martin Scorsese, who seems to hate everything about the website, even its name. Producer/director Brett Ratner is another industry name to have famously attacked Rotten Tomatoes, calling it “the destruction of our business” earlier this year. Scorsese’s verdict was just as damning: "They rate a picture the way you’d rate a horse at the racetrack, a restaurant in a Zagat’s guide, or a household appliance in Consumer Reports," he wrote. "They have everything to do with the movie business and absolutely nothing to do with either the creation or the intelligent viewing of film. The filmmaker is reduced to a content manufacturer and the viewer to an unadventurous consumer." 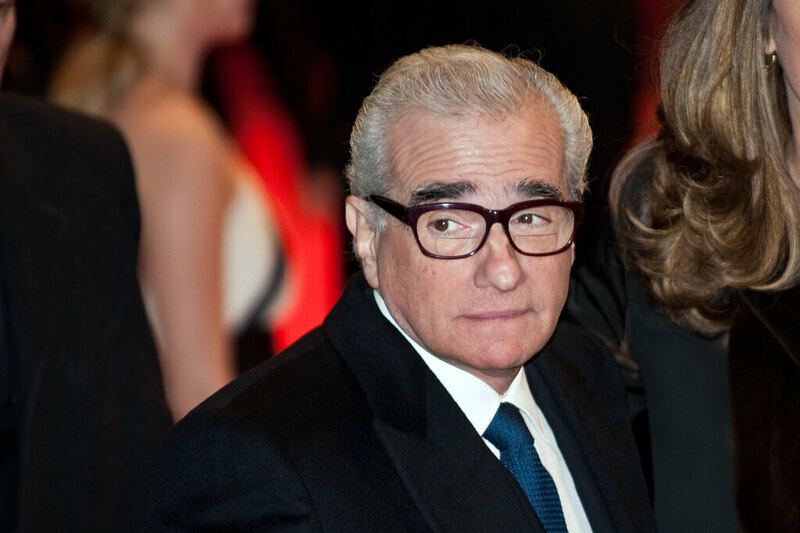 Scorsese claims too much focus is now placed on a movie’s box office takings, a situation that’s encouraged a “bloodthirsty” approach to film reviewing while stifling creativity. He also argued that some movies, such as Darren Aronofsky's highly criticized "Mother!,” which has a Rotten Tomatoes score of 68 percent and a Cinemascore of F, are treated unfairly by reviewers. But a high Rotten Tomatoes rating doesn't always equal box office success. Blade Runner 2049's Tomatometer rating stands at 88 percent, yet it had a poor opening weekend in the US. Looking toward the future, Scorsese thinks his least favorite sites won’t have the same influence they have today. Good Score on Metacritic or rotten tomatoes - They are good sites and fulfill a purpose that allows a consumer to see the general consensus of a movie. Bad Score on Metacritic or rotten tomatoes - THOSE SITES MUST BE DESTROYED AND THE SERVERS THEY WERE HOSTED ON BURNED! dms96960, NeoFlux, Kotters and 1 other person like this. 1. I don't care what Hollywood thinks, they are working in the entertainment industry. 2. As far as I can tell, Rotten Tomatoes is just a public product review for video entertainment. It is not perfect, so get over it. dms96960 and Kotters like this. "They rate a picture the way you’d rate a horse at the racetrack, a restaurant in a Zagat’s guide, or a household appliance in Consumer Reports...." Isn't that how they determine Oscar, Tony and Emmy winners? dms96960 and TadMSTR like this. This is like saying a house isn't built do be lived in, functional, or immediately valuable. They're just built because the contractor was getting paid. dms96960, TadMSTR, NeoFlux and 1 other person like this. Rotten Tomatoes is more of a reflection of todays culture and what they like, not what is truly good, innovative or well crafted. Look at the Marvel Movies. Same thing over and over but they are all highly rated, as most reviewers are on the bandwagon. There are a lot of movies where the general public disagree's with 'critics'. There is no such thing as a professional critic, its a self anointed position with journalism masking its scent. If RT came out when I was young, 'Top Gun' and 'Hook' would have scored above 80% easily. The new 'IT' would have scored poorly. Remakes were around but it wasn't like it is today. It's just a different time, RT is a cool place to get an opinion from todays grunts stuck in the matrix, but that's all it is. Just an opinion, don't take it too seriously. Don't get me wrong. I love Scorsese films, but all I can say to this is "BOO HOO HOO." I tire of the Hollywood elitist attitude. Maybe if they paid more attention to making films and less attention to alienating half their demographic with their political points of view, they wouldn't be so concerned with ratings on aggregates or box office takings. I hold no sympathy for people in the public eye crying because their film (which IS a product just like beer by the way) did poorly after the last political rant they went on. Kathy Giffin, Sean Penn, Quintin Tarantino – they all blubbered too about how their careers or films did poorly right after they got up on their soap boxes politically. I'm all for free speech, but these people make a living off selling themselves to the public. If they want to piss off half the people who go to their movies, that is their right, but it's also my right to not go see it if you pissed me off. And if I'm a reviewer and you set me off, yeah my review might be tainted by my feelings toward you. But hey, wasn't it your decision to get up on that political stump? I didn't see anybody twisting arms or anything. The same exact thing is happening in the NFL right now. Consumers hold the strings. Half of them have one view the other half have the opposite view. It's not good business to come out publically on one side or the other unless you are willing to take that 50% cut in pay. Halcyon, dms96960, cliffordcooley and 1 other person like this. To me, something like Rotten Tomatoes gives reviews much closer to my own viewpoints and preferences. Previously there were often these "critically acclaimed" movies that I absolutely hated or bored me to tears, and horribly reviewed movies that I ended up loving. Just look how many movies in the past were absolutely shredded by the critics of the day, but ended up cult "must see" classics once people ignored their opinions. I pretty much gave up listening to any reviews from the academy review darlings. Rotten Tomatoes feels more like real reviews from a wide pool of people that are closer to my peers, and less some kind of academy insiders who care more about how artsy and/or oscar-worthy a movie is. I find that my opinions of the movies I see usually aligns fairly well with the overall Tomato-meter score, but not always - sometimes your like or dislike of a movie is more about your personal preferences and the genre or cast, less about how others perceive it. Godel and dms96960 like this. that is an epic analogy!!! love it! I think a closer comparison would be architect to director, not contractor to director. The movie making equivalent would be a cameraman or something of the sort. Idea is true though - movie making is a business. But for the director's it's an expression of art, and I can understand how they would get upset at people who didn't understand their art putting out bad reviews. All I hear is that the Hollywood Liberals are whining again. Some sort of sense of entitlement. Just because they like something, it means everyone else must like it too. And anyone who doesn't hold their opinion they hate. I find that the review aggregate sites are perfect to let me know if what I am feeling about seeing a movie is true. Best example is Batman v Superman. Just by seeing the trailers, I could surmise that it wasn't going to be a great film. The reviews confirmed that (except for a few "professional" reviews and critics). Seeing it with friends also confirmed that (none of us really liked it). Well, professional (second definition as adjective) is when you do something for a living, basically get paid for it, you know. The difference between any professional and not, be it gamer, sportsman, writer... is that the former is paid for what he/she does; not the latter. As for the article, it seemed that Martin Scorsese was talking about BoxOfficeMojo, those guys are the ones who rate success based on box office; but let's hate on Rotten Tomatoes, which as long as it keeps being transparent to who said what, will be a trusted source for me. So people that lie and live off the government are...professional mooches? No, their lazy civilians that have no profession. Everybody is a critic and no one is professional at it. Journalism is a profession. Their opinion is not. Rotten Tomatoes is easy to hate on with some of the things they have done. 72% for Forrest Gump? Easy 90's score and one of the best movies ever made. Fear and Loathing In Las Vegas at 49%? Yes, RT is cool and I visit it here and there, its just not a trusted source for me, just a reflection of what todays audience like. calling it "the destruction of our business"
Exactly as it should be, because the cinema is meant to be art, first of all, business secondarily. And if it fails on the former, the latter is irrelevant. P.S. A professional critic is the same as a professional a$$hole, and RT is overflowing of those. My point was not to validate RT as reviewer of films but rather the lack of people complaining about it when their films are scored well as opposed to those that flip out when their films are not scored well. You also need to learn the definition of "professional". If you are making a living as a movie critic then you are a professional. For example, most of ESPN's sports reporters are journalists but some are former athletes, coaches, or executives yet all are professional reporters even if you don't like their opinions. Well of course people aren't going to say anything when its reviewed well. You also need to learn the definition of "professional". If you are making a living as a movie critic then you are a professional. An opinion is not something that makes you a professional. The act of writing the article and getting paid is the profession, and people are paid to voice their opinions though via Journalism. Sharing your opinion on a website with proper grammar, sentence structure and conclusions is a professional act that you get paid for. There is nothing professional about the actual opinion, everybody in the world has one and they all hold the same weight. Well, yeah... profession is a noun; professional an adjective, they can be co-related, but professional in Spanish, and --I just verified and pointed out for you-- in English is indicating that provides you an income. Everyone can sweep the floor, but if you get paid for it, you're a professional sweeper; must I add that there's no sweeper profession? People keep going to the percentages as if they were scores, but is just a summary of all the critics'/users' binary answer to "did you like it? ", not how much they did. I have the bad habit of reading and even clicking on the links pointing to the full review, for 2/3 critics reviews with very different opinions; I also read several users' opinions and make a call. The percentages and scores are the first impressions, but what influence my decision to watch it or not at the theater is the whys; I do the same with Imdb. Of course, this is my procedure when I'm deciding on one movie; if I'm already on the line to buying improvised tickets: I balance between recent recommendations, the mood I'm in for the genre, read the synopsis, and other factors to decide right there. Listen, If I was a professional food reviewer and went around the world eating at different places, I might review a burger and say its amazing. Then someone comes in and says the burger was terrible and my review is not accurate. My opinion of the food is solely mine because everyone's taste is different and natural. That part of it, or my personal opinion is not finite and is subject to disagreement and discussion, there is nothing professional about my opinion... however, my ability to post the review is. My act of reviewing the food and posting about it was professional. RT is a bunch of opinions, and just like yelp, they are not specific to journalists. If the dictionary calls the aspect of payment for those services a profession, that demotes, IMO, what that word really means. Anybody and everybody can be a critic whether they get paid or not. ANYBODY. Not everyone is flying a F22 Raptor. 1. Then don't complain when its reviewed bad. 2. Go tell webster's and have them change their definition then, last I checked the newspaper by lines state film critic and not film journalist. When webster's definition changes for you then you right, until then you are simply wrong and just backtracking to avoid embarrassment. While I'm sure you would like to continue your hissy fit, I'm done proving you wrong with facts and won't be checking this thread any more. When webster's definition changes for you then you right, until then you are simply wrong and just backtracking to avoid embarrassment. There has been no backtracking here. The Journalist part is professional, not the opinion. This seems like its a little too above your head for you to understand, and I can't simplify it anymore then I already have...if you don't get it by now, well, not sure what to tell you. RT is a collaboration of opinions, which holds little to no merit, I don't care how much they get paid or if that makes them a 'professional'. I get advice and opinions all the time about shows/movies from friends at work and sometimes its pretty in-depth, even more so then an article I read about a movie...at the core, its an opinion. Nothing more, same as RT. Again, focus on the legalities if you want to and what your copy and pasted definition means if it makes you feel good about your point. You certainly won't bother me any. You don't have to be a crybaby about it. Like I said focus on the legalities if you want to and what your copy and pasted definition means if it makes you feel good about your point. You certainly won't bother me any and nothing you have said has done anything to counter any point I've made in this thread. I am an immortal. I often get bored every hundred years or so, when I do I surf the internet and I have come to this conclusion: opinions are like *******s - everybody has one. I don't care what that rotten Rotten Tomatoes say. Just another bunch of me-too reviewers. If I want to watch a movie, I'll watch it. I never give any importance to that rotten site anyway. I go to the movies regularly and saw the trailer for Mother! at least 3 times, it gave me no desire to see it. Rottentomatoes doesn't make or break a movie, either people want to see it or they don't, it's as simple as that. Pixels had a truly bad "it stinks" 16% and still made really good money.